Story Time: Why is it So Important? Did you know that 20% of UK parents spend no time at all reading with their children? Or that just 50% of parents with young children read for just 1 hour each week? Not only does reading to your children help to improve their academic performance, but more importantly it strengthens your bond, improves their imagination, helps children learn to read, teaches them about the world around them, and provides important morals to help make your child a nicer person. 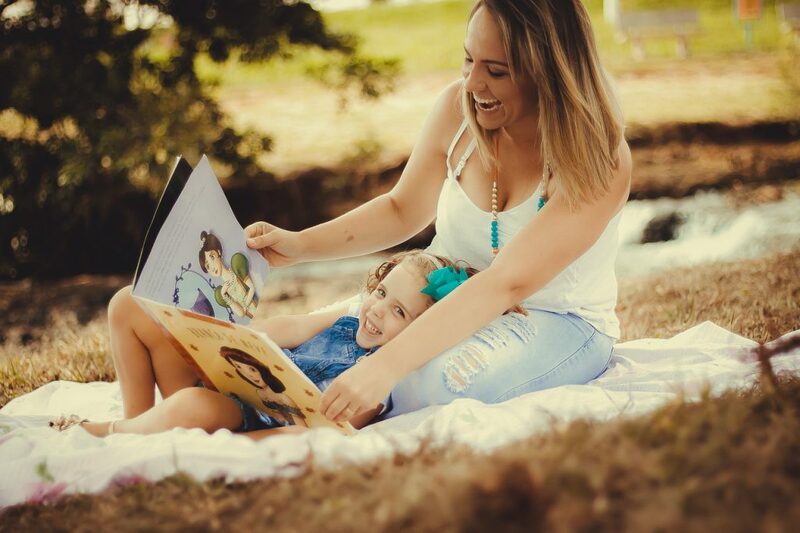 Experts recommend that children should spend at least 20 minutes per day reading and it’s recommended that even when children learn to read, parents still spend the time to read with their children. Freestyle – Don’t feel that you always need to read a story from a book. Try making up a new short story featuring your child, a pet, a character they like or someone entirely new. Get your child to help with certain elements of the story so that you build the story together and see where it takes you. Audiobooks – If you’re nervous about reading aloud to your child, audiobooks and reading apps are a fantastic tool that will allow you both to enjoy the story. Remember to encourage your child to ask questions about the story at the end. Silly voices – Assign a separate character’s voice to you and your child and take turns with the dialogue, making the story fun and silly as you experiment with different voices. Use real events – Instead of creating a new story or reading a book, try re-telling real events that have happened to you and your child. Encourage your child to describe the things they remember from the event; what they saw, what they heard, how they felt. All of this will help to develop their descriptive vocabulary and memory whilst giving them the opportunity to talk about things that have happened. Be the listener – If your child has already started learning to read by themselves, encourage them to read stories aloud to you. Not only will this help to develop their reading ability and grasp of language, but also their confidence and self-esteem. Don’t forget that visiting the library is a great way to encourage a love of books in children and you can borrow both regular books and audiobooks/story CDs. CBeebies also run a Bedtime Stories session every evening at 6:50 pm (UK time) that you can watch together. How often do you read to your children and which stories do you enjoy the most?